Tell me if you find broken name/texture. Nexuiz map names begin with "nexuiz_" for example "nexuiz_toxic". All maps should be visible except "nexuiz_stormkeep". Maps have changed names, it isn't "nexuiz_darkzone", it's "nexuiz_q1dm6_remake" etc. There were a lot of maps from Nexuiz that were rather good that I wish would've been remade. Bleach and a couple of others have been redone, but I guess didn't meet the standards needed for being included. Also every server I ran into that had these maps always had them missing something... Usually the music and skyboxes. So this pack is a godsend. After some testing I ran across a couple of issues: Soylent has the wrong music track playing on it, in Nexuiz 2.5.2 it had Stairs playing as the background music, this pack instead has neuronal-diving (which I believe was the music in 2.3 and 2.4). Bleach also has an issue with it's ambient sound, possibly due to the engine upgrades Xonotic has. The background noise on that map is overwhelming. I'm curious which maps, that were in Nexuiz but not in Xonotic, are still actively played today? For what it's worth, Xonotic comes with a Nexuiz compatibility package which includes all the textures and map objects. Removing those from the package might bring it down under 200MB. (08-16-2017, 11:33 PM)BuddyFriendGuy Wrote: I'm curious which maps, that were in Nexuiz but not in Xonotic, are still actively played today? Evilspace, Farewell, HandsOfGod, pukka3dm2, Soylent, Toxic and many more. Farewell and pukka3dm2 are played a lot in Resurrection server. There was a Xonotic toxic remake right ? NOPE. 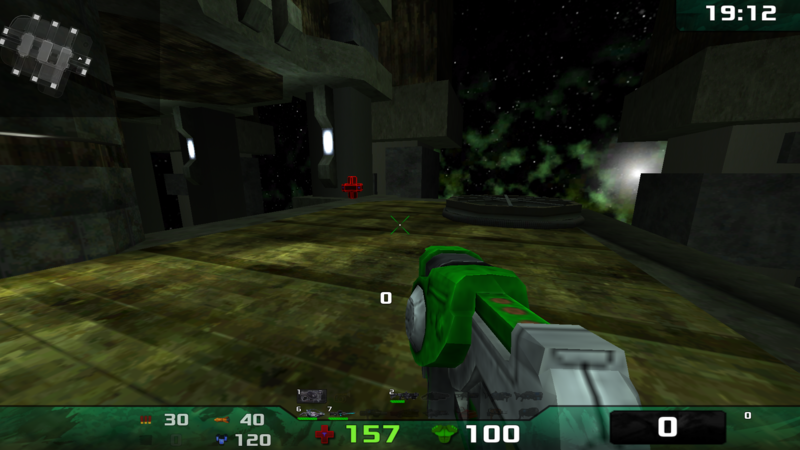 HandofGod and pukka3dm2 are from quake 3. Strahlemann made a mappackage around nexuiz 2.0 with quake 3 maps. This way they got to nexuiz/xonotic . (08-24-2017, 06:56 AM)hox3d Wrote: There was a Xonotic toxic remake right ? Yeah, there is one, but IMO it's bad. I mean the map is well made, but warp zone texture is missing, there is no radar or waypoints.